Why did Heath Ledger’s masseuse first call Mary Kate? A private viewing was held for actor Heath Ledger today in New York, with family and close friends in attendance while questions surrounding his masseuse and her legality to work have now arisen. The service, meant to be a private time to grieve, was marred by throngs of press outside of the New York City funeral home. 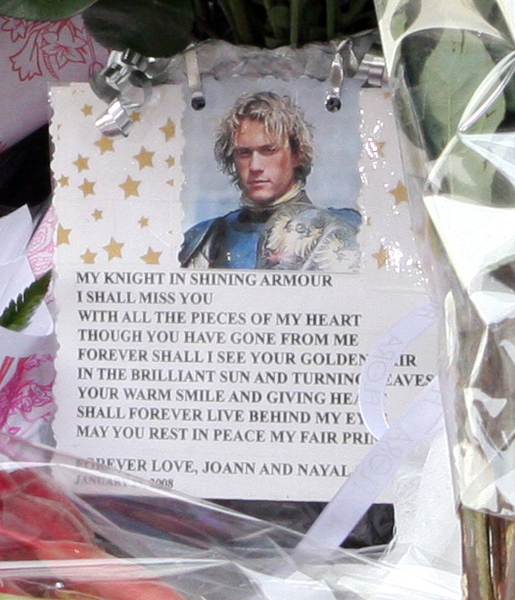 Heath’s body is now on its way to Australia, where the critically-acclaimed actor will be buried. Mary-Kate was the first person contacted by the masseuse who found Heath’s body — even before the woman called 911. And on the subject of that masseuse, she is facing jail time for being unlicensed. Diana Lee Wolozin, who called Olsen before calling 911, is not listed on the New York State Education Department’s web site, which tracks health professionals. New York State masseuses are required to be CPR-certified. Wolozin did not attempt CPR on Ledger when she found his body. “We have notified the New York City Police Department as part of their investigation that no one by that name is licensed as a massage therapist in the state of New York,” says Jonathan Burman, spokesman for the New York State Education Department. The bigger question should be why did Wolozin repeatedly call Olsen before calling 911?